Student-athletes at Pitt, including football and basketball players, have been able to register for spring semester classes for three days now, while all other students are only beginning to register today. 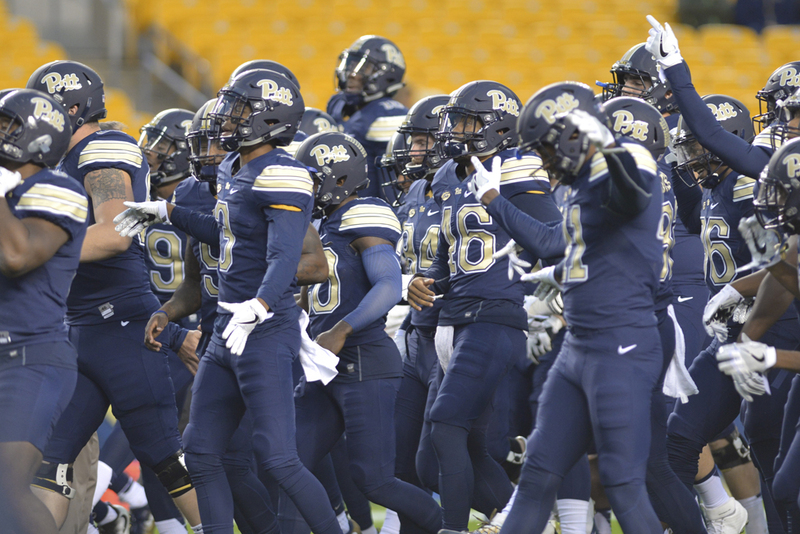 This is because Pitt’s senior administrators and athletic department approved a change this semester that allows student-athletes to have early access to classes so they can avoid scheduling classes that conflict with practice and game times. Student-athletes were notified of this change Thursday evening when academic counselors who work within the athletic department sent emails to Pitt’s more than 500 varsity athletes saying they could begin registering for classes as long as their advising hold had been lifted. Pitt automatically places a hold on all students accounts each semester so that students must meet with their academic adviser before signing up for classes. Each athletic team also has a designated “academic counselor” who does not replace a regular adviser but provides academic support for student-athletes. In an email obtained by The Pitt News, Mike Brubaker, the academic adviser for the women’s track team, informed the athletes of the change and advised them to remain “indifferent” about the policy because it is so new. “This is a very big change for the University, so until it becomes more widely recognized, it would be best to be indifferent when/if discussing it with those outside of athletics,” Brubaker said in the email. Brubaker did not respond to questions about his email. But E.J. Borghetti, a spokesperson for Pitt’s athletic department, directed The Pitt News to David DeJong, the executive vice provost, who confirmed the change Brubaker described was taking place. DeJong then included Juan Manfredi, the vice provost for undergraduate studies, in the interview. Manfredi said the idea for the policy came from conversations with administrators from other ACC schools who are a part of the ACC Academic Consortium, a group that, in part, discusses ways to improve programs for student-athletes. Through those conversations, Manfredi found that most schools in the ACC, except for Pitt and Boston College, allow student-athletes to register for classes before other students. Although the new policy was already implemented Friday, allowing student-athletes to begin registering for classes, Manfredi said there is not a written policy in place yet. He said he and other administrators are working on a more detailed proposal outlining the policy that will also discuss more clearly how students with disabilities can register early. Currently, students with disabilities can register early, but Manfredi said they handle each case “manually” based on a student’s individual circumstances. Manfredi said he hopes the written policy would outline a formal process for students with disabilities to register early but said he does not know when it will be finished. DeJong also said the written policy would not be limited to student-athletes. “I think, broadly, it will consider students who have large demands on their time for official University purposes,” DeJong said. Since student-athletes account for about 2 to 3 percent of the student body on campus according to DeJong, he said he does not expect the policy will affect how other students register for classes.